The Poldi Pezzoli house-museum is worldly well-known, created by the Milanese art collector Gian Giacomo Poldi Pezzoli (1822-1879). Opened to the public in 1879, it shows great painting by master such as Mantegna, Piero della Francesca, Botticelli, Raffaello e Tiepolo and collections of works of art: arms and armours, glass, porcelain, clocks and sundials, textiles, jewellery and furniture. 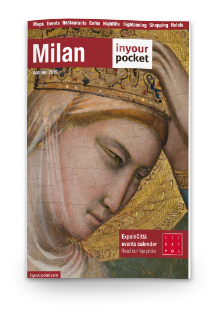 The Poldi Pezzoli Museum Milan organizes exhibition, conferences, concerts on antique instruments and educational events for schools and families. OPENING HOURS: 10.00 – 18.00 . Closed on Tuesday.